With over 30 years in the industry, Parts Sales Botswana is able to supply the widest range of repair and aftermarket parts for some of the most popular earth moving machines available on the market including; Caterpillar, Komatsu, Hitachi, JCB, Bell, Liebherr, Volvo, Hyundai, Doosan, Terex, Bobcat, Wirtgen and Dynapac. The company is a multi-brand distributor of high quality brands and our suppliers are known for this quality which is enforced through numerous controls carried out at the production plants. Undercarriage components work as a system to move the machine in any type of terrain. Undercarriage components can account for a large amount of the repair investment you make over the life of the machine. 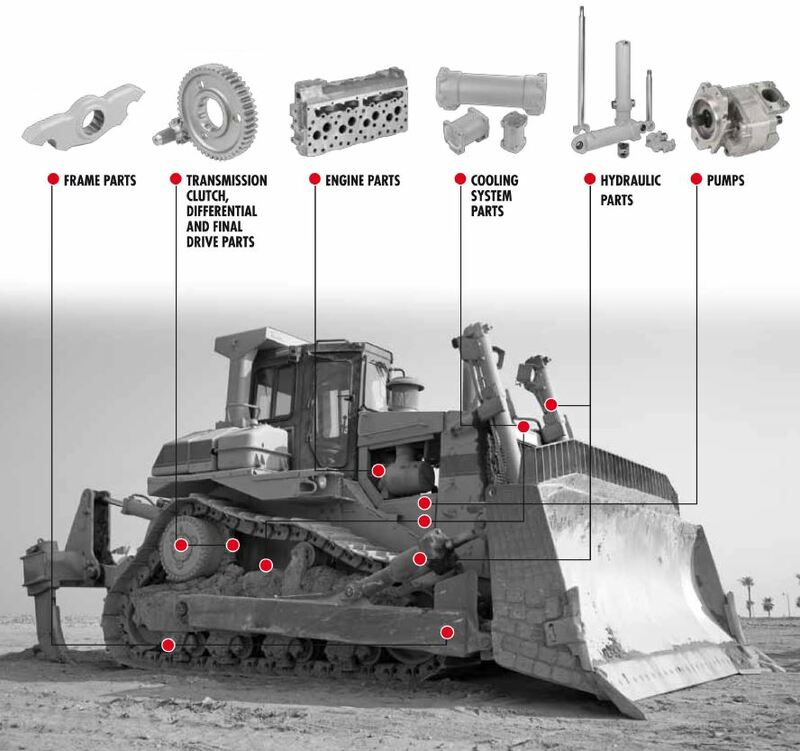 For this reason, we offer the best high quality undercarriage replacement parts, while giving customers the ability to obtain significant savings to reduce repair costs on their machine and to keep your machine running productively without delays. We would love for you to visit us!